Located at the off ramp of new Hwy. 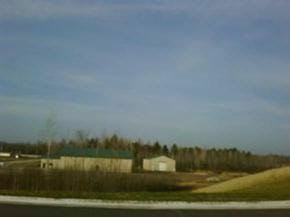 41 bypass at the S end of Peshtigo (Cty. Y). Easy on/off access & visible from Hwy 41. 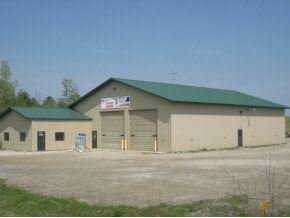 Clean building formerly used as a truck garage & shop. 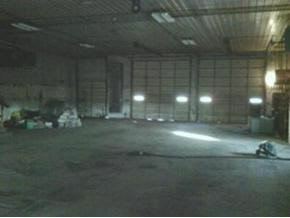 5,000SF building has modine heaters, two 14 overhead drs & one dock. 700+SF of office space w/4 offices, conference room and two bathrooms. 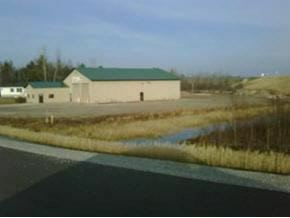 2,400SF cold storage, pole building on site. Plenty of room for yard space. Hwy 41 N to Peshtigo, take County Y Exit, take a right turn over the bypass onto Timberland Way and go to Fire #.